Poh Ling Yeow's ex-husband married her best friend. This is how it works. Poh’s ex-husband married her best friend. This is how it works. Let’s break this down from the words of Poh herself. “He’s my ex-husband. She’s my best friend. And when we broke up, they got together and it’s all dandy. It’s actually really good”. So good, in fact, that they own a business altogether. All of them. Poh, her husband, her ex-husband and her best friend (who is incidentally her ex-husbands wife). Stay with me because it’s equally as fascinating as it is complex. But not so, says Poh, “it’s not at all complicated. But it wasn’t as much sordid as it was sad. This peaceful outcome wasn’t always as perfect as it sounds. “For about three years we were like flat mates, we were really good mates and we couldn’t figure out how to break up because there was so much pressure from both sides of the family. “The next step was to have a child and in our heads we knew we couldn’t bring a child into such a volatile relationship”. So they broke up. It was amicable but not easy. “We broke up on really good terms. It was still really hard. Break ups are horrible. Because no matter what, even now, I still have a little cry over it and it’s not because I wish we were still together or anything. “But there’s something about two humans wanting to murder each other like that, that is so sad. “When you torment each other, destroy each other. It’s still really sad. But if this rather unique love triangle hasn’t already blown your mind, strap in. Poh’s ex-husband is her manager. Their intimate relationship gave them an understanding and honesty that very few business partners can offer. But what certainly can’t be explained is love. And Poh just knew when she’d found it again. The driver responsible for transporting the Masterchef contestants between the studio and their accommodation was a bloke called Jono and he stole her heart in the most unique way. “We weren’t really allowed to talk because that’s part of the rules. You can’t fraternize with the staff because I guess they can tell you secrets [about the next challenge] or something. “I think it got a little more charged because we weren’t allowed to talk to each other. It was like playground … cute looks across the yard, sort of thing. Then, after the show we hooked up. We didn&apos;t win with #pohandco last night but it was a great honour to be nominated for Best Lifestyle programme at the 2016 #AACTA awards last night. Congrats to @adamliaw and #destinationflavour @sbsfood #sbs #sbsfood ???? Big love to @yugeyu for my beautiful dress. Poh radiates love and joy. At the end of most of our podcasts, I’ll often ask our guest, “how do you unwind?” and most guests respond with something like – yoga, pilates, meditation, cooking or turning off my phone. Cuddling her husband. “There’s lots of cuddles in my house. Lots of that”. And just like that it’s pretty clear to see why a woman in such a complicated love triangle sees nothing but pure love, compassion, honesty and simplicity. What&apos;s your fave tips to get through break-ups and relationship struggles? 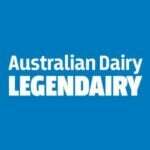 This content was created with thanks to our brand partner Dairy Australia.